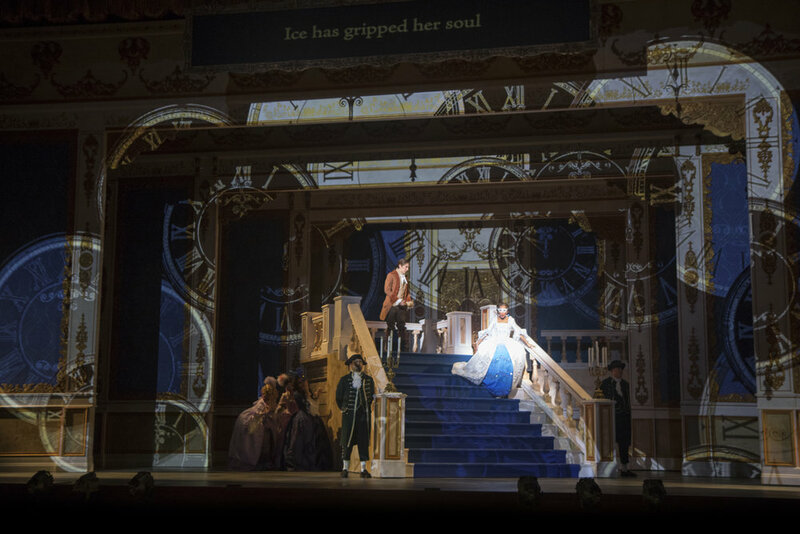 "The physical production was easily the most lavish I have yet experienced in San Jose. Steven Kemp’s sumptuous scenery was a riot of color and invention. 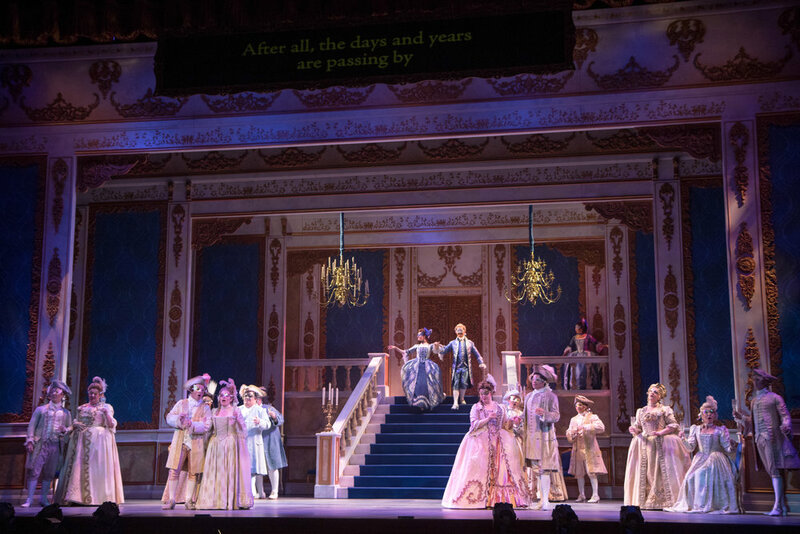 Whether a backstage view of an opera auditorium, a coolly atmospheric forest of birches, the king’s handsome chambers, or the ornate ballroom with a massive, movable staircase, this was a triumphant use of the relatively limited stage space. 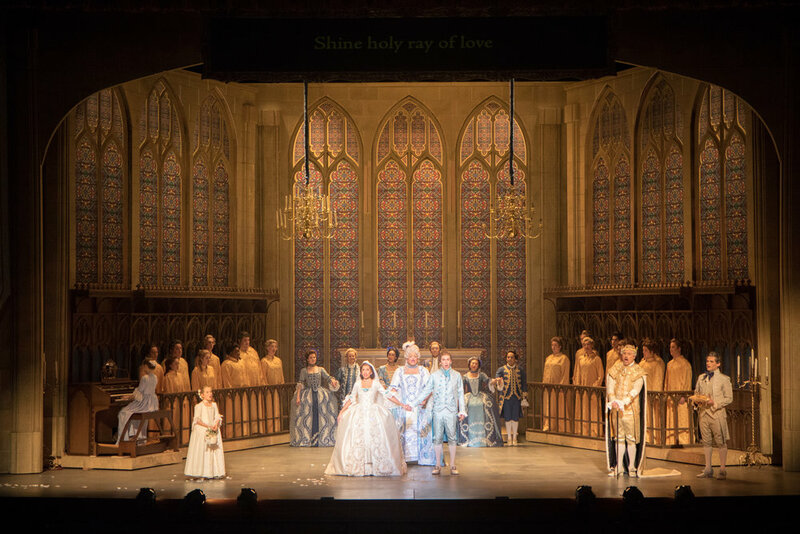 Just when you thought the visual feast was over, the curtain rose on the final scene to reveal an imposing, stained glass windowed chapel replete with choir stalls and organ.."
"Opera San Jose didn’t skimp in staging Cinderella. 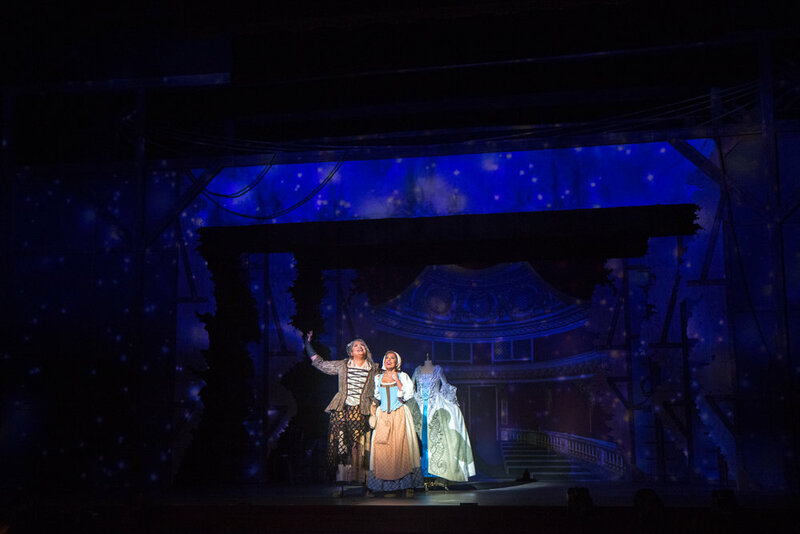 Late 18th-century costumes by Johann Stegmeir and sets by Steven Kemp dazzle. 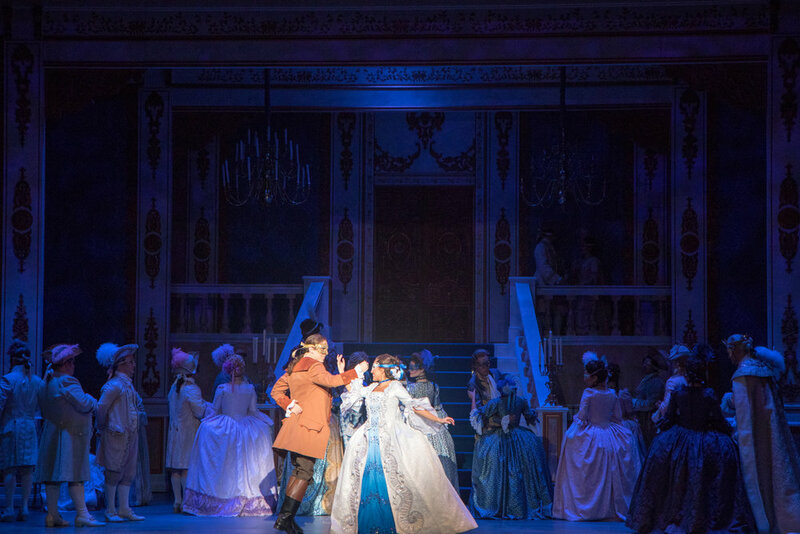 The ballroom scene (for which Deutscher wrote a toe-tapping waltz) is choreographed with stately grace by historical dance expert Richard Powers."